We are glad you are here! 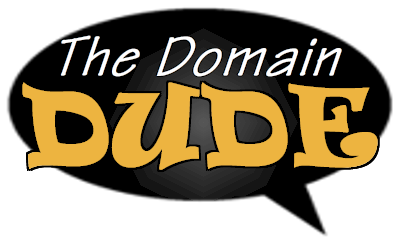 You came to the right place to save money on domain names for your business! We offer .COM domain names for only $9.99/yr! Plus, if you are a blogger, we offer the .ME domain names. Are you ready to build your business or name your blog? Click in the search box below to find your perfect domain name! If the name is taken we'll let you know. Keep searching! When you find the perfect domain name you are looking for, select the "ADD TO CART" button. Also available .NET | .ORG | .TV | .ME | .CO | .VIDEO | .INFO | and even more "dots" than you can dream of. Step 3: Create Your Account on TheDomainDude.com to purchase your domain name and hosting services. Transfer Your Domain in Three Easy Steps! ICANN fee is an additional charge. Products will automatically renew until cancelled. You may turn off the auto-renewal feature by logging into your account.